Sportsmanship doesn’t stop when the game ends. It is part of the community you live in. 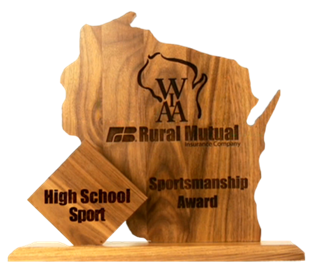 That’s why we’ve proudly sponsored the WIAA/Rural Mutual Insurance Sportsmanship Award for more than 50 years. Learn more about our community involved here. Has your school won the Sportsmanship Award? Click below to see all the Sportsmanship Award Winners. Will your community win the Sportsmanship Award? 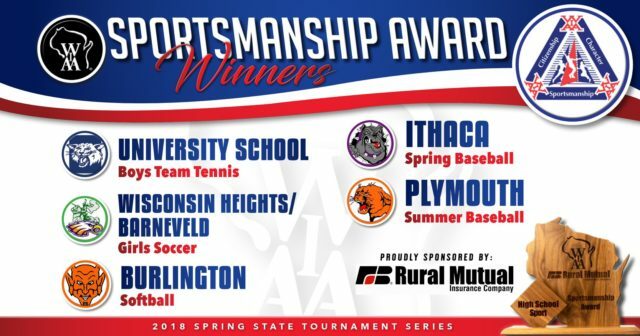 The Sportsmanship Award recognizes the entire community for their conduct and appreciation for good sportsmanship – not just the athletes and coaches – but their fans and community and how they present themselves at state tournament events. All schools are eligible for the award, regardless of the number of games played. Judging will be done by game officials, scoring personnel, WIAA tournament management, security personnel, parking personnel, hotel personnel, and regional and sectional tournament managers. Congratulations to the Spring 2018 Winners! Wisconsin Heights Coach shares what the WIAA Sportsmanship Awards means! Learn more. Ithaca Baseball Coach shares what the Sportsmanship Awards means to the team! Learn more. Plymouth Baseball Coach shares what the Sportsmanship Awards means to the team and community! Learn more.